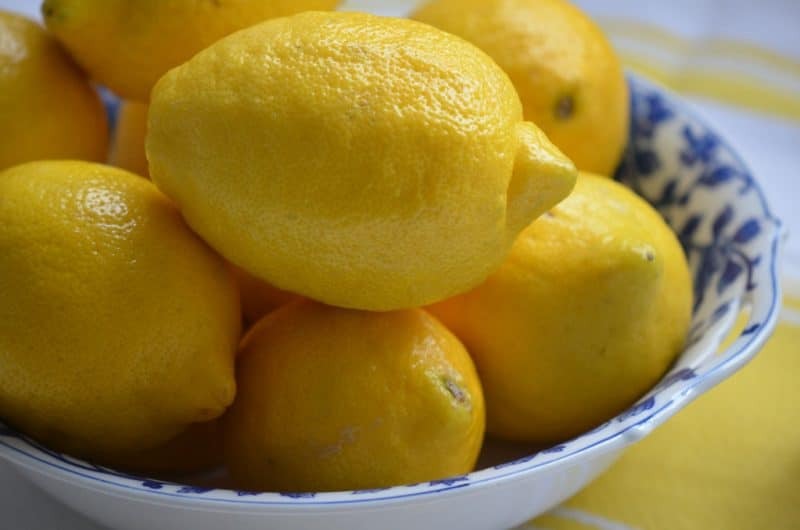 We are salivating over lemons this week not just because they naturally make our mouths water, and not just because they are the perfect shade of yellow to accompany us into spring and Easter, but also because lemons are one of the most essential flavors in Lebanese cuisine. What would my mother’s salata, or salad, be without the lemon juice she presses out right over the bowl of lettuce? No pan of grape leaf rolls, no bowl of lentil soup, no hummus would be complete without our tart little main squeeze. Those green bottles of Real Lemon juice found their way into the long shelf life of my childhood, but that was a different time, and while there are some things from that era that I would never want to part with (there’s a certain Shaun Cassidy poster…), Real Lemon is not one of them. Real lemons, like real people, don’t need to call themselves real. Every member of my immediate family keeps a large bowl of lemons on the kitchen table or counter at all times. Our savvy realtor Kim tells us it’s a bowl of green apples in the kitchen that will sell our place, but I think lemons could do the trick too. Their bright yellow plumpness signals happy, fresh, it’s-gonna-be-a-great-day-and-we-beg-you-to-buy-our-place vibes. And lemons are a great natural cleaning agent for copper. 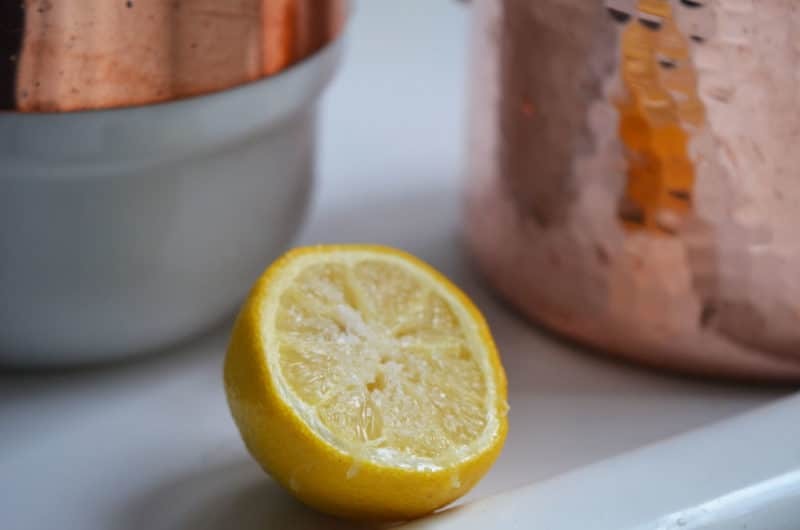 Sprinkle a little grainy kosher salt on the cut side of a lemon, rub on the copper, and voila: you’ve got clean. This was our regular practice at Tante Marie’s, where egg whites were always whipped in a copper bowl that always had to be rubbed down with lemon juice and salt before use. This was like kitchen titillation for me, since my passion for meringue-making runs deep. Which leads us to our treat this week. You’d think I would out with a savory dish showcasing Lebanese lemon flavor. But no. It is the end of Lent, thanks be to God, which for me means the end of my sugar-ban (unless I realize how good this experience was for my health and start down a voluntary sugar-deprivation path), which means I’ve been angling for a beautiful, extremely good dessert for Easter. After I indulge in a couple of fluffy, sunny peeps, and more than a couple of luscious lamb lollipops, I’ll be ready for a slice of the kind of lemon meringue tart that can only be called extraordinary, and I bet you will be too. 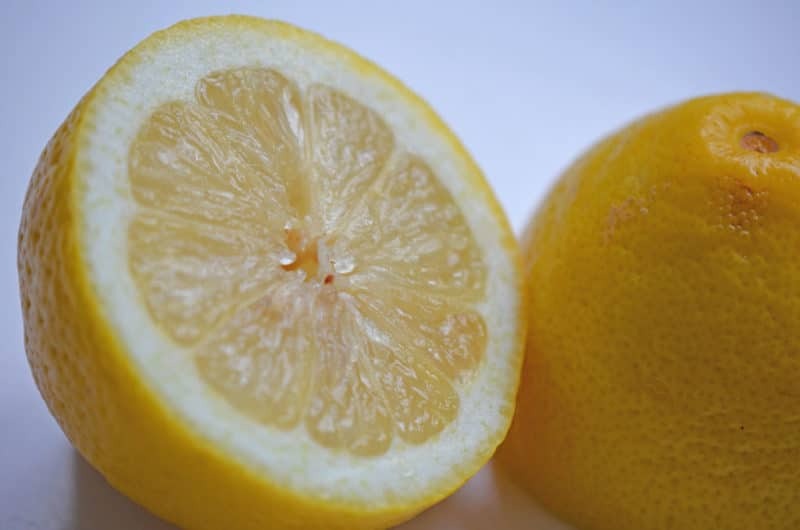 7 Responses to "Ingredient: Lemons"
Don’t forget that all edibles from our lakes and the sea taste great with lemon. Amen! Love whitefish and perch with lemon…it’s sounding good right about now, isn’t it. Now I’m very curious about the sugared lemon peel…it’s like a makeshift candied peel, and a lot less work!!! I will be trying it soon. Thank you Jerry! Over coffee yesterday my sister and I were talking about how we drink lemon juice in hot water, her in the morning, me all day long (at work). Our sister in CA. sends us boxes from her tree….lemons, lemons everywhere…and we LOVE them. How absolutely wonderful to receive lemons from your sister’s tree!!! Lucky you!! 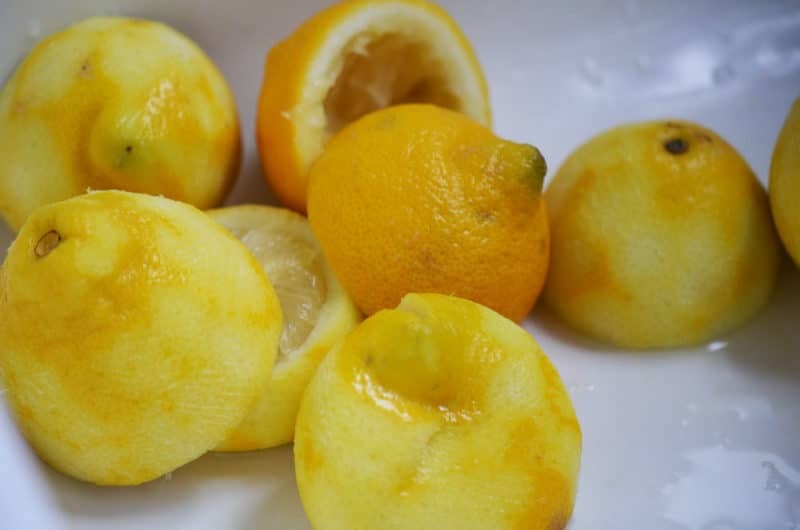 AND….not just any lemons….they are Meyer lemons. About 40 or so in a box. Geri and I are spoiled. We squeeze them and freeze the juice for all those wonderful Lebanese dishes you mentioned. Yummmmm.